Sometimes you want a coffee-to-go. Other times, you want to order a frothy cappuccino whilst taking in some local and international art. 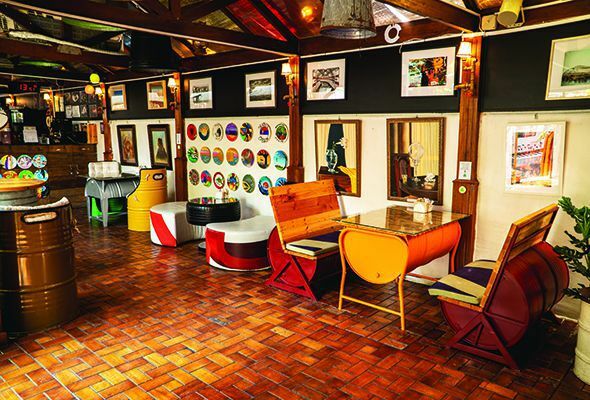 These five delightful cafes in Abu Dhabi are for those times. décor is eco-friendly – think glass bottles as light fittings and couches made from carpentry palettes – and the menu is good for any time of day. A place to come to wind down and fire up the creative engines. 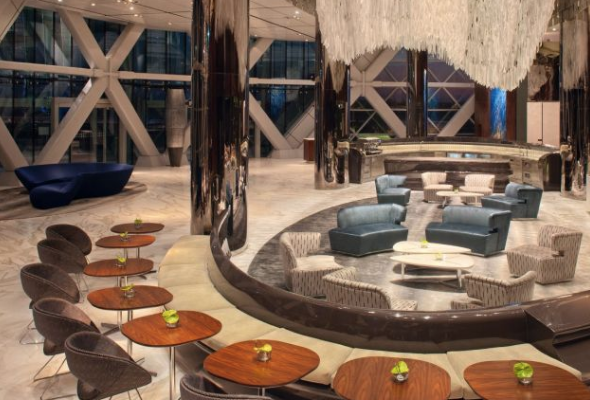 The newly opened art gallery is housed on the ground floor of the recently renovated Andaz Capital Gate hotel and is big enough to exhibit 70 artworks. The light and airy space is also dotted with seating areas so it functions as both a dining spot and gallery with an interesting line-up of art-themed events planned for 2019. 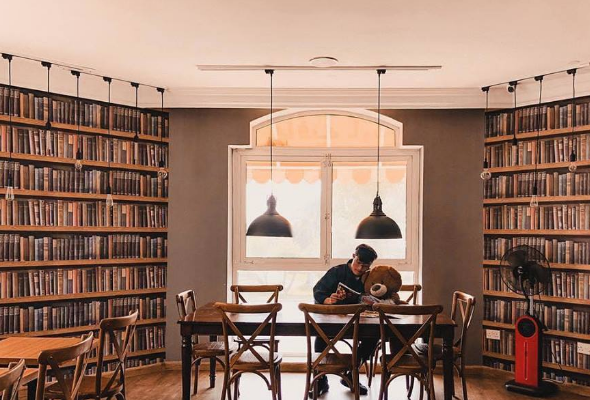 Long since graduated from hidden gem to local institution, Café Arabia’s three storeys host casual art exhibitions, crafty pop-ups and a home-grown library to while away the hours. With an extensive menu of fresh food and drinks and a bustling vibe, this is the place to discover authentic grass roots talent. 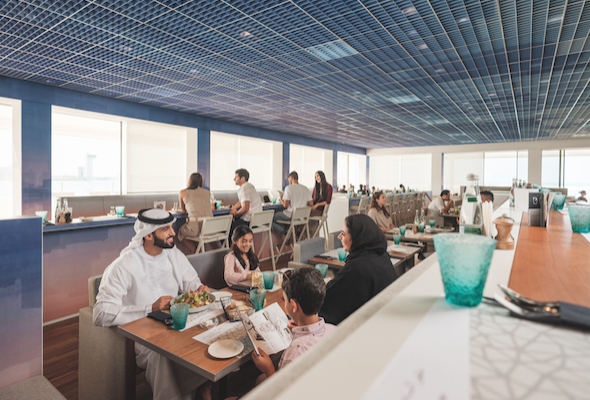 With stunning views across the sea, this café with a rooftop lounge upstairs is part of the Jean Nouvel-designed Louvre Abu Dhabi and is surely the top spot in the capital for fusing highbrow art and architecture with the natural beauty of the landscape. 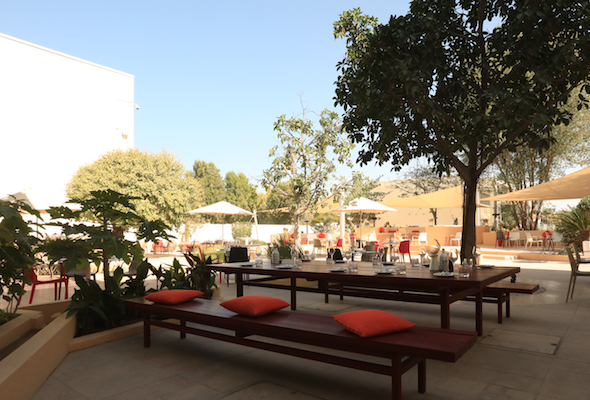 With a shady outdoor terrace, tasty Italian food, and an interior filled with art ranging from local artists to the pop art style gorilla sculptures by French artist Richard Orlinski, this spot is also the best place to refuel before visiting any ongoing exhibition at Manarat Al Saadiyat.